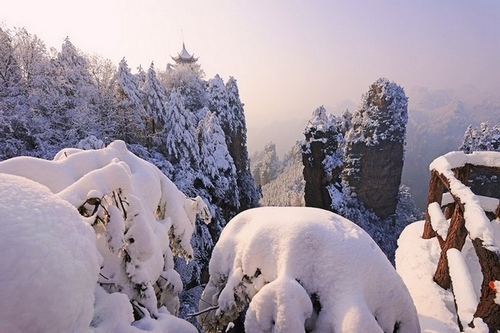 ​Three landscape dramas are being staged at the first International Culture and Tourism Festival held in Zhangjiajie, from October 23 - November 13. 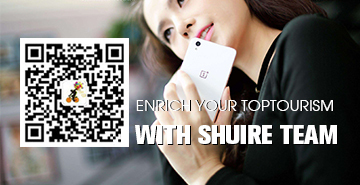 ​China is launching its sixth national population census Monday, ten years after the last one, as the world's most populous nation seeks a clearer and up-to-date picture of its population. 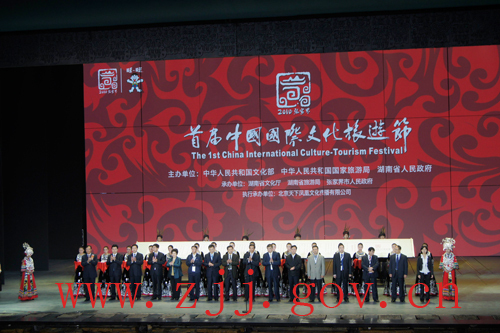 ​Emcee Zhang Dandan (1st L), famous oil painter Chang Jiahuang (3rd R), head of the Chinese National Geography Press Li Shuanke (2nd R), and dean of the Graduate School of Landscape Architecture of Peking University Yu Kongjian (1st R)“Interview with Celebrities” of the 1st China International Culture-Tourism Festival was held in Zhangjiajie on Oct. 23. 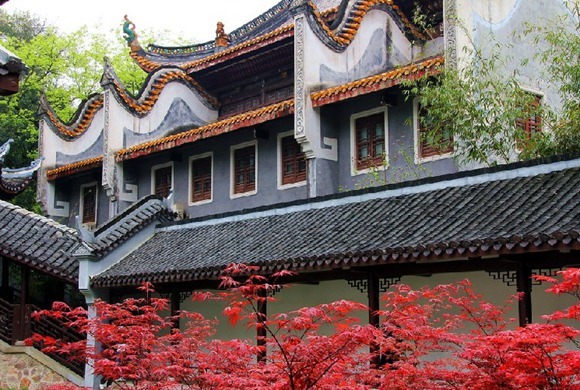 ​The Promotion Meeting of Hunan Tourism Products & Investment Projects, as the major event of the 1st China International Culture-tourism Festival, was grandly held in Zhangjiajie Pullman Hotel. 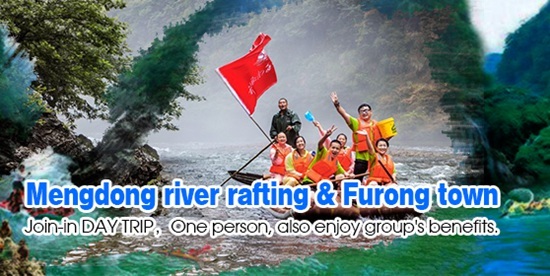 Du Yili, the deputy director of National Tourism Administration , Liu Liwei, the vice governor of Hunan Province , and other leaders attended the meeting and delivered speeches. 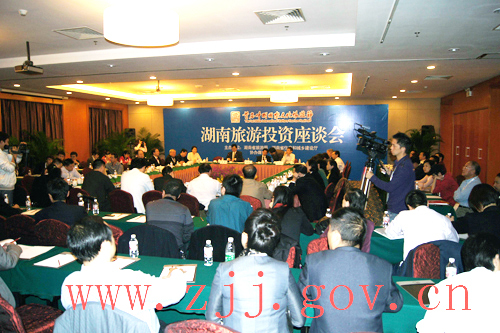 2010-10-23 Deputy Director of the National Tourism Administration of China Du Yili met with representatives of the World Tourism Organization and Pacific Asia Travel Association. Vice Governor of Hunan Province Liu Liwei met with guests from home and aboard who attended the 1st China International Culture-Tourism Festival.Mrs. 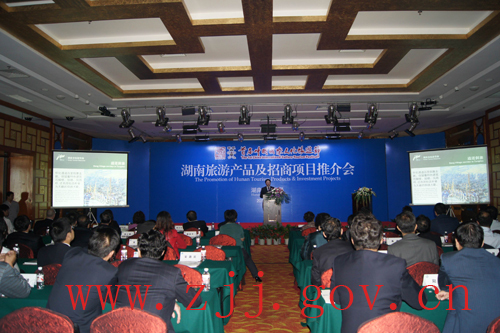 Sophia, vice director of the Development Department of the World Tourism Organization, spoke highly of Zhang jiajie’s tourism Du Yili, deputy director of the National Tourism Administration of PRC and Liu Liwei, vice governor of Hunan Province, met in Zhangjiajie with guests from home and aboard including representatives of the World Tourism Organization and Pacific Asia Travel Association on the afternoon of Oct,22. 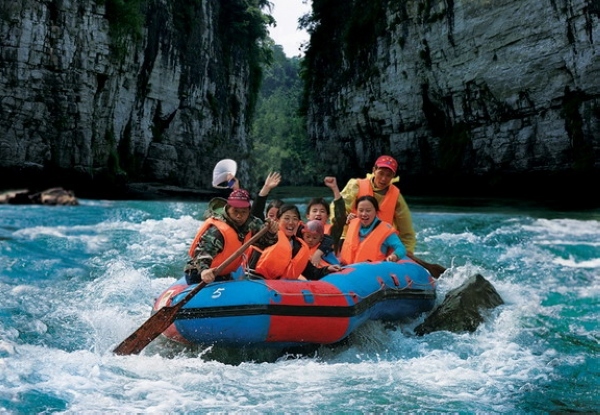 During the meeting, guests from the two tourism organizations highly praised the elegant natural scene and reasonable industry layout in Zhangjiajie. 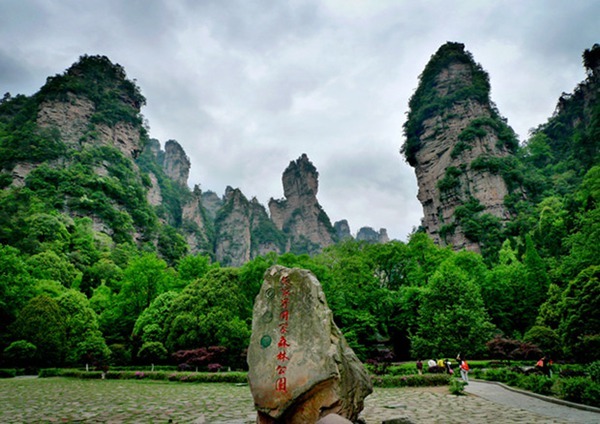 Zhangjiajie, as the host city of the 1st China International Culture-Tourism Festival, is branded remarkable titles by Global Geological Park, World Natural Heritage, National Forest Park, National 5A-class Scenery Site, and occupies the leading place in Hunan tourism. 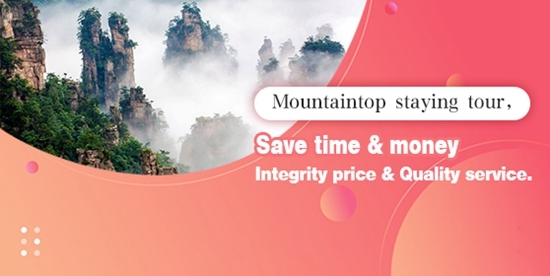 In recent years, Zhangjiajie tourism has actively transformed from sight-seeing orientation into leisure and business exhibition-orientation, and remarkable achievements have already been made. 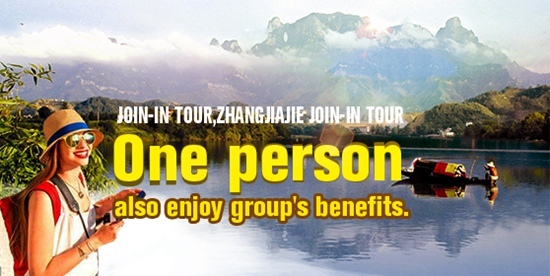 Vice director of the Development Department of the World Tourism Organization Mrs. Sophia, who was invited to attend the 1st China International Culture-Tourism Festival, spoke highly of the unique natural scenes in Zhangjiajie and decided to set up a “Observation Spot” to formally involve Zhangjiajia tourism into one of the normal observation targets due to the its developing tendency and the important role it plays in the world tourism economy. 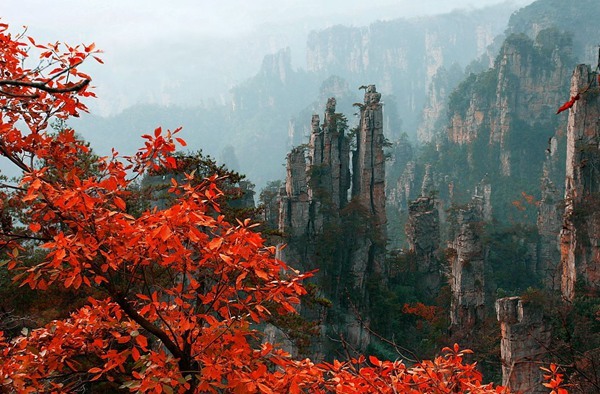 ​On October 23, the 1st China International Culture-Tourism Festival was grandly unveiled at Hallelujah Concert Hall in Huanglong (Yellow Dragon) Cave scenic area, Zhangjiajie City, a famous world heritage site. 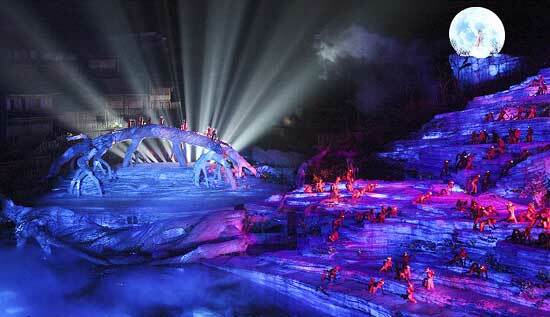 Mao Zhiyong, former vice president of the CPPCC Committee declared the opening of the festival.